From September 4 to 5, sponsored by the Ministry of Transportation, the second stop of the 2018 “My Bus, My City” promotional campaign was held in Yiwu, and 17 influential domestic media groups gathered in Yiwu to publicize the history of the Jinhua bus system and its achievements. The journalists first came to the passenger transport center of the International Trade City to learn about the construction of the center, and then got on BRT (Bus Rapid Transit) Line 1. 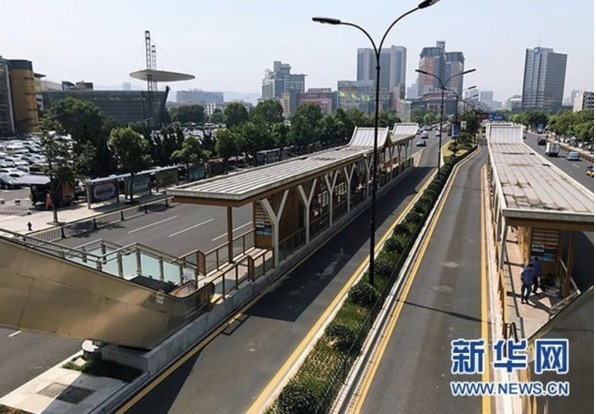 The BRT Line 1 is among the top ten “New Energy Bus Lines” in China. As the pride of Yiwu, it shows the generosity, hospitality, and enthusiasm of Yiwu, which greatly impressed the journalists. “With such convenient transportation, no wonder so many foreign businessmen come to Yiwu,” said one of the journalists.